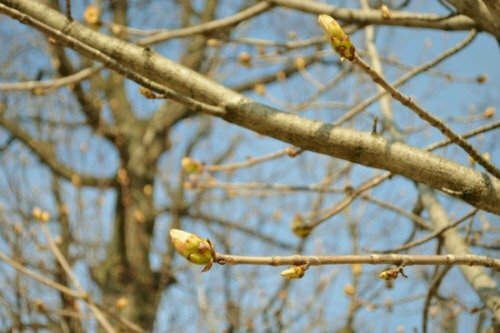 Spring buds about to burst open in the parks and gardens of Paris! 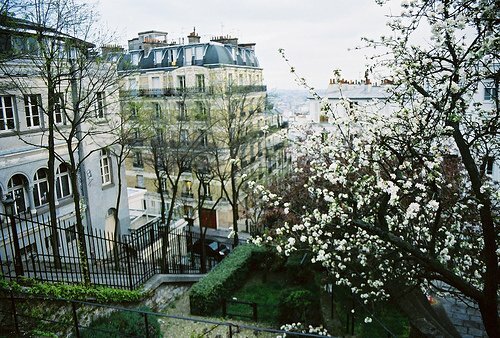 The romanticised archetype of Paris in spring is one that recurs frequently in films, literature and tourist guidebooks. Despite the rose-colored expectation of sun-dappled boulevards and dreamy strolls by the river, Paris really is a delight in the springtime! An icy hangover from the winter months still lingers, but the skies are clear and the sun hints at the prospect of warmer weather. This time of year is ideal for exploring Paris – the leaves are just budding on the trees and the city feels fresh, invigorated by the daubs of green and bursts of colors that reappear in its streets and squares. Wandering down past Notre Dame, ducks line the river’s banks, unperturbed by the throngs of tourists that pass by, and even the odd over-zealous photographer. 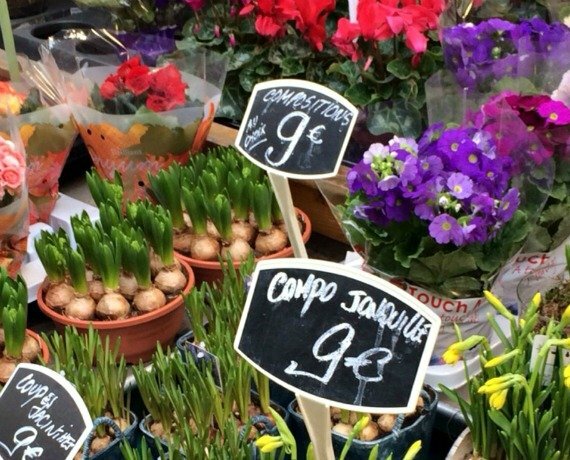 The St-Germain-des-Près area just across the river is lovely in the spring; there are several little morning markets selling fresh produce, and of course a multitude of little cafés if the spring air gets a bit chilly. Montmartre is also a bit of spring gem – the streets around the Sacré-Cœur are not quite as crazy as they get during the summer months and the views over the city are phenomenal when the clouds disperse. Leaving the well-trodden tourist track behind and exploring further afield in Montmartre is well worth the effort. This area has some really good places to eat, and if in doubt, just follow the French! 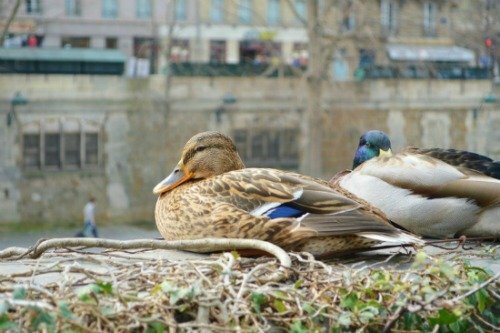 The main attraction of springtime Paris is being able to comfortably wander around and discover the places that the guidebook doesn’t mention. The cooler temperatures of early spring mean that the big attractions aren’t quite as overwhelming as in high season, and it’s easier to navigate the metro and bus systems. For travelers who love to walk and explore, Paris at this time of year is undeniably lovely and a joy for all those who visit! Image Credits: Notre Dame in the Springtime by sansplans, Spring blossoms in Montmartre by Paloma+Luismi, all other photos by author. Posted on Tuesday, May 7th, 2013 at 4:31 pm in Parisian Living. You can follow any responses to this entry through the RSS 2.0 feed. You can leave a response, or trackback from your own site. 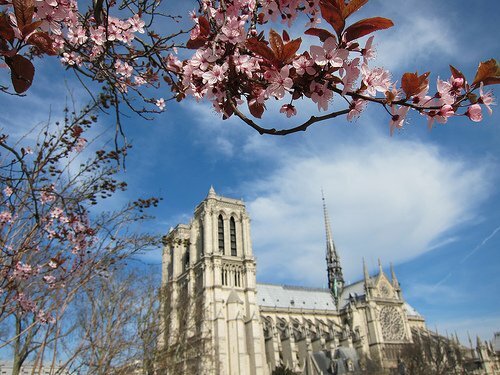 Springtime in Paris: A Marvelous Eruption of Blooms and Blossoms Welcoming Spring in Paris Fabulous Spring Break and Easter Savings with Paris Perfect! Paris is Irresistible in the Spring!